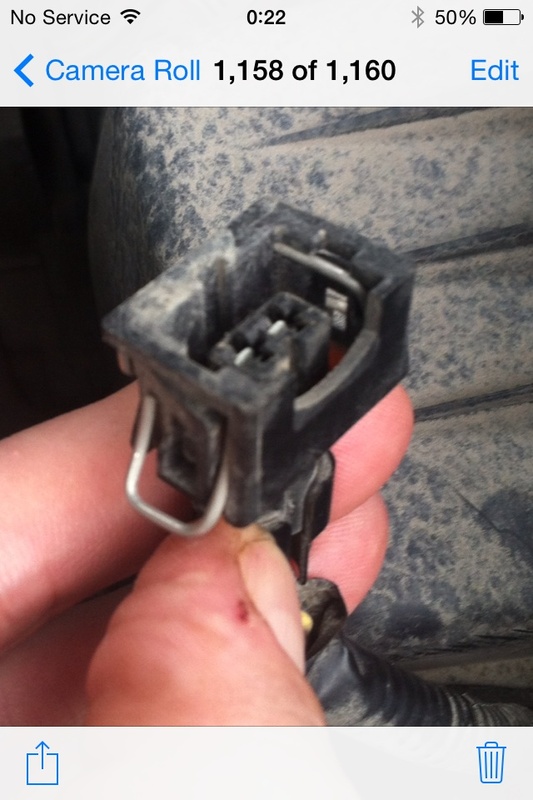 I have a 2000 chevy venture and just noticed an electrical connector that isn't connected. I have absolutely no idea what it is for and there isn't anywhere I can see that would accept it. 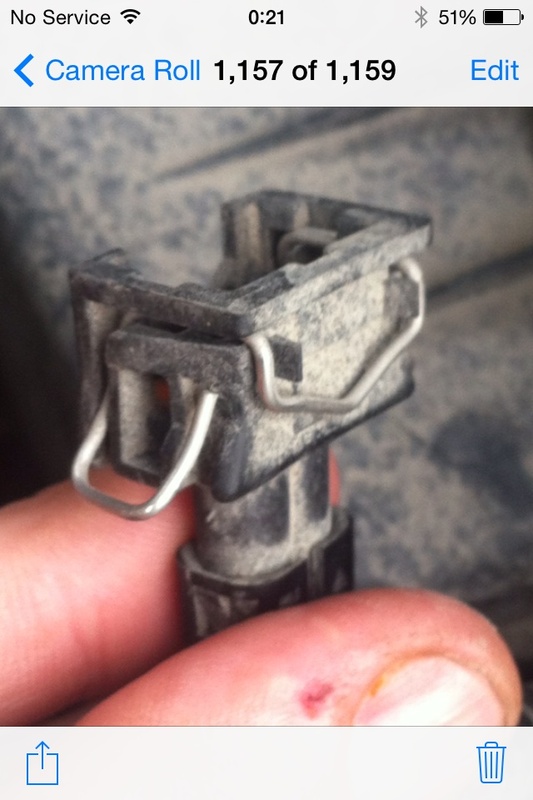 It doesn't look like the normal weather pack connectors. A couple winter's ago I was in a minor fender-bender where a body shop replaced the front bumper shell and the driver's headlight. I do not know what had to be disconnected, so I have no idea what is down there. The wire is on the driver's side up by the air box right in front of the electric radiator fan. I wasn't a big fan of the body shop and hope to be able find out what it is and just plug it back in. Any help would be appreciated! Thank you! Everything is working. Oh well, I will do as you suggested and pack it with electrical grease. Thanks a lot for your help! What color are the wires on the connector? They could of used that connector for something on the silouette or the montana vans. There is also the export versions of those vans that could of had something that plugs into that. Just found out what it could be for. Some vans had an auxillary water pump. That style connector is used on that. The auxillary water pump is mounted on the driver's side cross bar. 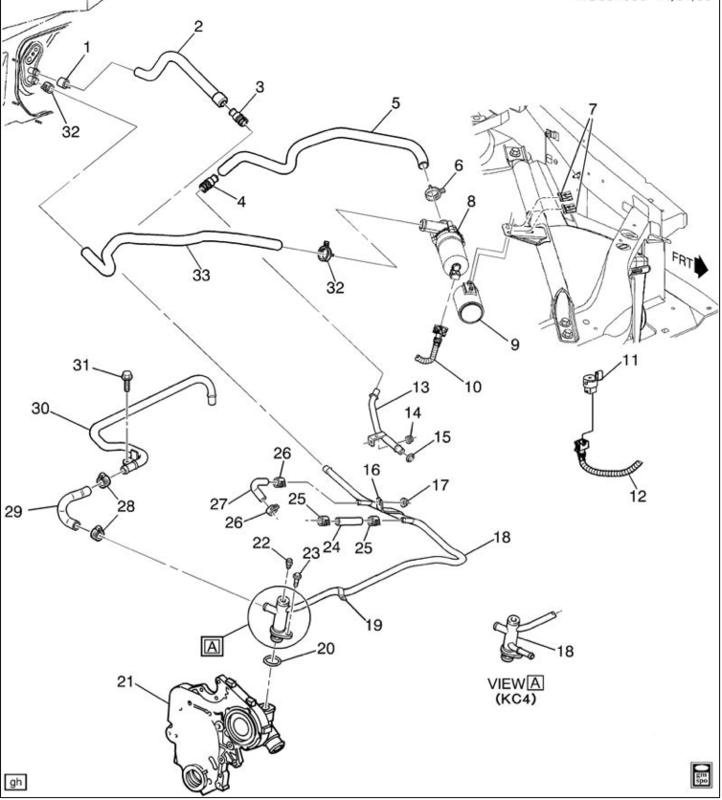 There is also #11 which is the ambient air temp sensor in the pic that looks like a possible thing it could plug into also. My guess would be the ambient air temp sensor because it is behind the bumper. Right! The rear heat. The "T" broke for the rear heat so my mechanic disconnected that pump. I never knew where that plug was located, but now I do! Thanks a lot guys, very much appreciated. Glad to read you got it figured out. Thanks for the follow up. Closed as solved and can be reopened upon request by the OP.